**Book received for consideration, post contains affiliate links. All thoughts are 100% my own. As good Christians when we hear this question we KNOW how we're supposed to answer, right? The Bible. What other book could top the Bible!? And while it's certainly holds true that there is no greater books in terms of importance, how many of us can truly and honestly say that it is our absolute favorite? As much as we know we're supposed and as much as we might want to feel otherwise, for many reading the Bible feels like much more of a chore than anything else. It's something to check off the list. These of course are all great things that we should be doing as Christians of course, but if our heart isn't in it...well, what's the point? I remember in school I loved to read everything, except those things I HAD to read for classes. I would whip through them quickly just to get it over and done with so that I could move on to what I wanted to. And let's be honest... I got a whole lot less out of those books than the ones I truly wanted to read. If I loved what I was reading, I studied it...I took it all in, If I didn't love it... ? Well, it just didn't stick. This isn't what I want when it comes to reading my Bible. I want to enjoy it, I want to look forward to my time in the Word. I want to fall in love with my Bible. Now, maybe you're thinking you too want to fall in love with your Bible, but Bible journaling isn't for you. That's absolutely fine, it's not for everyone...and that's not what this book is about. Instead its a great inspiration to get rid of those preconceived notions of what Bible reading is all about and truly allow us to start enjoying it as we should be. With questions to ponder and make us think, and even a section for journaling, this book truly can help us to take our Bible time to a greater level. And it's Now Available! 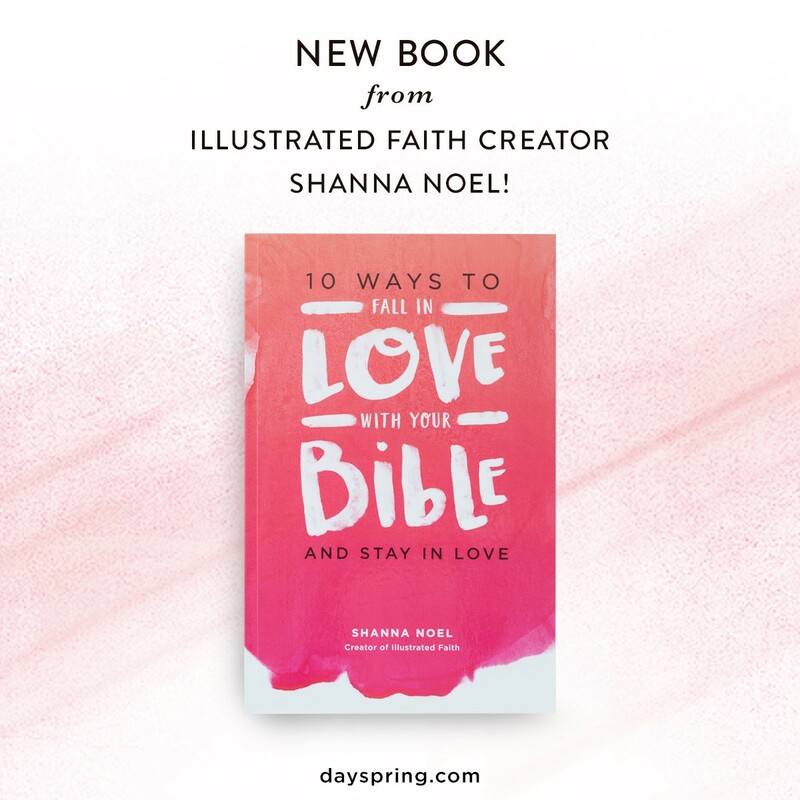 Grab your copy of the new book 10 Ways To Fall in Love with Your Bible and Stay in Love written by Illustrated Faith Creator Shanna Noel. Do you love reading your Bible or do you need a little inspiration? How can this book help? I always need a little inspiration!! I cant wait to get this book in my hands!! This book sounds like something I need to read! Thanks for sharing.